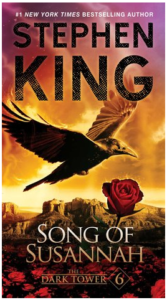 12/12/18: Reflections of 2018 continue with this book, Heir of Fire my favorite book read in April. 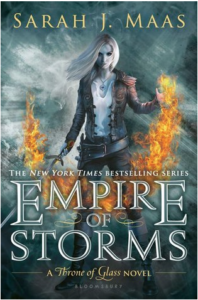 Since reading this, I have also completed, Queen of Shadows. At the time when I finished this one, it was my FAVORITE of the series. Now it is QoS. For me, they keep getting better and better. I know haters out there. That’s fine. No shame here. I am TRASH for this series. Fight me. Manon gives me life and getting to know her during the course of this book was so entertaining for me. I am equally obsessed with Abraxos and know that my heart is ultimately going to end up being broken in that regard ((NO SPOILERS PLEASE)). Also, it is now apparent to me that I never wrote a full review for this so, boo on me. Fail. 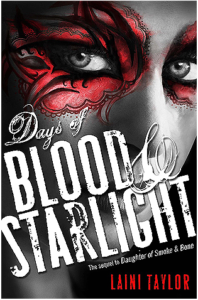 4-strong stars for Days of Blood and Starlight. 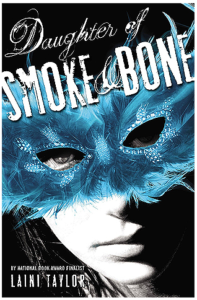 This is the second book in Laini Taylor’s hugely popular Daughter of Smoke & Bone trilogy, the first of which I have reviewed previously on this blog. The good news is, I did enjoy this book a lot more than I enjoyed the first one. In this book, we find Karou thrust into the role left vacant by Brimstone, her father figure and one of the higher-ups in the Chimera society, and it is one she definitely grows into as the story unfolds. She is suffering with grief and loss and because of this her character is raw and has an overwhelming need for vengeance. I like this Karou. I feel like her finally knowing who she is and what she is allows her to gain more strength than she had in the first book. We still follow along with Akiva’s story as well as he re-immerses himself into the Seraphim regular life – training, fighting, politics – we see it all here and meet a lot more very interesting characters along the way. The world building in this book is really strong. The world we saw in the first book is built upon and built upon in this one until you feel like you are looking at this vast empire of angels v demons. It is truly astounding! I listened to this one, as I did the first, on audiobook and I think the narrator just does a spectacular job bringing this incredible world to life. I have already started the third book and it is even more action-packed, picking up right where the second book leaves off. I am sure I will be shook by whatever the conclusion to this is going to be! 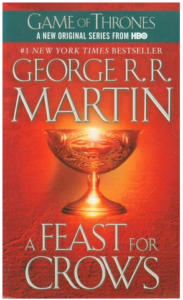 Obviously, I am extremely late to the party on this one – I have been hearing for years now how great this book is, how great the series is, how I MUST read it. I finally decided to give it a go (on audio) and I wasn’t disappointed…but, I wasn’t blown away either. It was good but I think, for me, it fell victim to the hype – I was sort of expecting the best book ever written and although the writing style is gorgeous, the plot was lacking for me, particularly through the beginning. I did feel the second half of the book was much stronger in the ‘plot’ department and that ending crushed me. As with other first books of a series, so much character development and world creation can occur due to it being an introduction that it can end up retracting a bit from the actual story. I will say that Laini Taylor’s writing itself is very strong. The flow and her choice and use of words is flawless. I absolutely loved that part of it and am excited to read her other series, Strange the Dreamer, as well. I also really enjoyed a lot of the characters, particularly Zuzana and Madrigal. I am excited to move forward with this series and to see what the ultimate outcome will be for Karou. I have already begun the second book, as of this morning, and already feel much more invested in it than I did with the first book! *As a side note, for the audiobook, the narrator is excellent and I would definitely recommend it in this format!